Join Our Race to Battle Human Trafficking! Make a donation to Slave2Nothing.org with every Win, Pole or Top 5 this season. Matching personal donations are: $10/Win, $5/Pole, $2/Top5, but donate what you can afford. The amount is up to you - a monthly cap is fair game. Small efforts add up to make a big difference. Business partners are also welcome and are offered exposure on the car, live stream and website. Be a part of freeing people from modern day slavery and assisting their recovery! By entering your email address, you will receive an email notification at the end of each race week about our race results and donation amounts. Donations shall be made at Slave2Nothing.org. Do not send your money to me. Your email address will not be used for any other purposes or shared with anyone, and you can unsubscribe at any time by choosing 'Leave' to the right or emailing partners@ohmitsimracing.com. Ohmit Sim Racing is not affiliated with Slave2Nothing or In N Out Burger and views/comments expressed on either side do not represent the other. Subscribe to our YouTube channel to be notified when we go live. Our 2018 racing plans are taking a slight twist as I make some needed adjustments. We won't be committed to a consistent schedule or series, or running for a championship. We will still be streaming our races, which you can watch live right here or on-demand on our YouTube channel. Instead of raising sponsorship for 2018, we have decided to race to raise awareness and funding to fight human trafficking. This is a cause my family has felt called to for the past few years, and I'm excited to have found a way to start entering into it. We hope this is just the beginning, and we hope you will join us by making a donation to Slave2Nothing.org with every win, pole or top 5 this season. Join our efforts by emailing partners@ohmitsimracing.com and you'll receive an email notification when it is time to donate the amount of your choosing. The goal is to raise $6,000 in 2018 through racing to fight human trafficking - that amounts to 16 partners joining me at an average of $40 per month or 24 partners averaging $30 per month. Will you consider being a partner? Champions! Our #6 AMS/GTR Ford Insane Motorsports team has won the Premier Race Network Cup Series Championship for 2017. We started P2 tonight in the PRN Cup Series finale at Homestead. We would drop back as far as 6th after an eventful restart, but work our way back to second where we ran most of the race. The car was good in the middle part of the run. The race had 2 cautions, both happening behind us and a long green flag run at the end with 2 pit stops. We had nothing for the leader, but we did bring home the PRN Championship tonight with a 2nd place finish in the race! 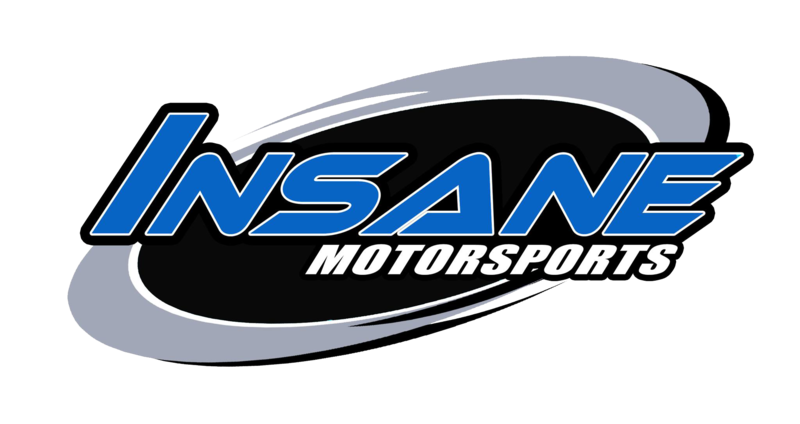 I've got to thank all of these guys at Insane for their help and support preparing the cars this fall, my Insane spotter Chris Hussey for keeping me calm, focused and out of trouble and calling some great strategy. I also want to thank GTR Simulator, Shady Rays, Impress Me Much and Andrew's Machine Service for their support throughout the year. It has been a fun year of racing, doing the live streaming, and working alongside so many great folks.